Manogi in “Paumotu” (the language of the Tuamotu Islands) or Pani in Marquesan, the Mono’i is at the heart of Polynesian traditions. This scented oil is a much appreciated cosmetic product as it brings out each individual’s beauty (man, woman, and child) by improving one’s skin. 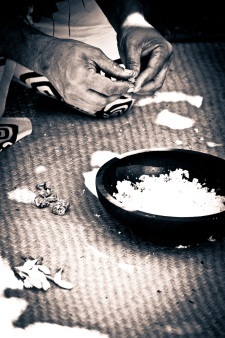 It is also used for massages, and during ancient religious rituals it helped purifying objects, offerings and altars. Its texture and perfume contain a large range of tropical fragrances making it an exceptional product. 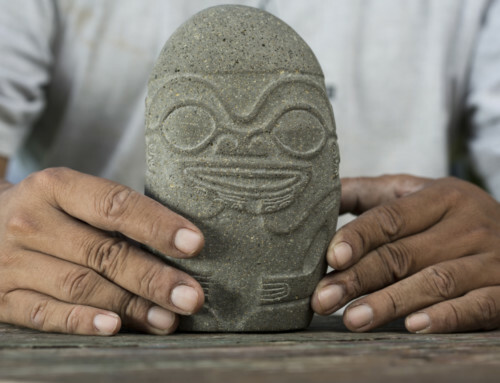 Manufacturing the Mono’i is a thousand-year-old art which is very widespread in our islands. This leading product of Tahiti and Her Islands is obtained by macerating flowers of Tiare Tahiti in coconut oil collected in our islands. The Mono’i has several virtues to its credit; indeed it hydrates and protects one’s skin, and it nourishes one’s hair which has been damaged by pollution. 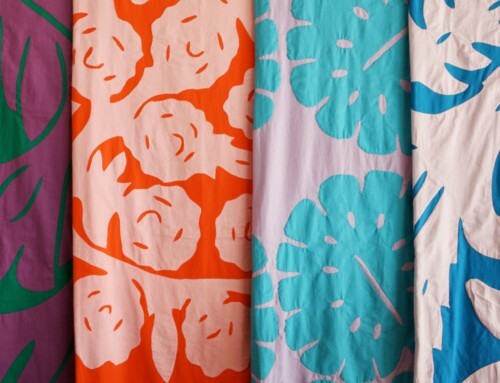 As a matter of interest, the Tiare – the emblem of Tahiti and Her Islands, is a very pleasant flower to wear in the day and in the evening. 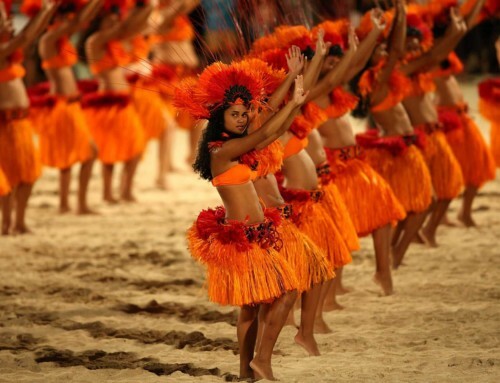 According to the legend, the Tiare Tahiti was created by God Atea helped by Tane – God of the beauty. Considered as sacred at the time of the “ari’i” (kings), this flower was only picked by kings and princes. 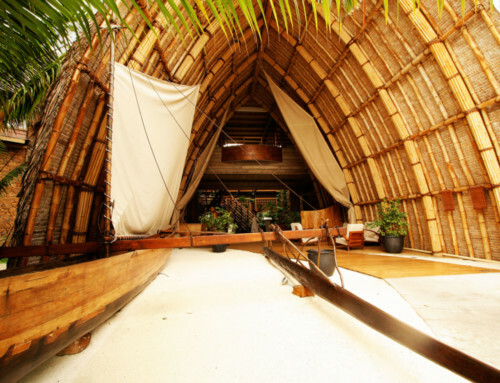 The Tiare Tahiti is the symbol of Love. 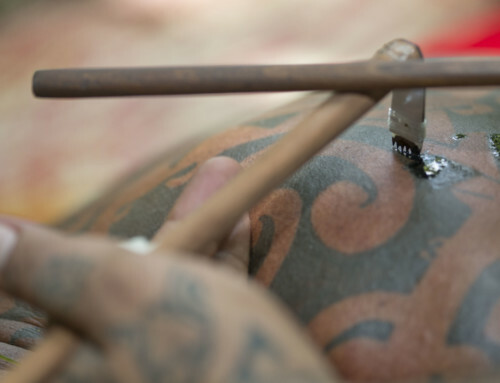 According to tradition, a Tiare Tahiti worn at your left ear means that your heart is taken, but when you wear on your right it means you are single and looking for love. The Tamanu grows near the Marae (ancient sacred open air temples) in Raiatea. In ancient times, it was considered as a sacred tree. 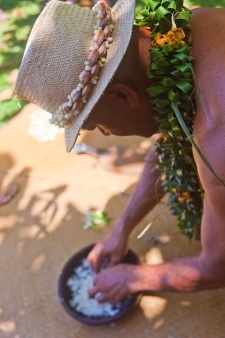 The fruits of the Tamanu are used to make a beauty oil well appreciated by Polynesians. The virtues of this oil are very popular; it particularly helps to heal better, it is good for some burns and insect bites, to tone skin up and to slow down ageing effects. 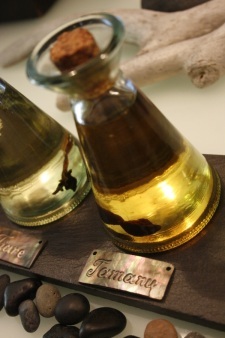 The Tamanu oil is also used for capillary care. In addition, the Tamanu Mono’i is very famous for its anti-bacterial and anti-parasite virtues which are much valued by Polynesians.